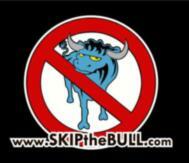 Central Florida Real Estate and Mortgage Solutions without the "BULL". www.SKIPtheBULL.com : It's HOT in FLORIDA! Temperature and Housing! It's HOT in FLORIDA! Temperature and Housing! Amazing that it's in the high 70's to low 80' this week. I love it warm during the day but i'm looking forward to it being 50' or less at night. . .
"THE ONLY B.S. I HAVE IS FROM THE UNIVERSITY OF MASSACHUSETTS!!!" Let me help with all of your Real Estate and Mortgage needs! Buying a new home is a source of anxiety, frustration -- and a huge sense of accomplishment. You didn't pick the house that was best for someone else, you picked the one that's right for you! Trust me to help you find the Home and Mortgage loan that best fits your needs! No one will take better care of you and your family. With todays challenging Real Estate and Mortgage Market, you can trust and rely on Richard Shuman From Start to Finish. I have the Experience, Education and Ethics to help you every step of the way! My clients receive immediate, professional service and support 7 days a week. A "STRESS-FREE MOVE, Across Town or Across the Country"
Post © 2019 Richard Shuman, Real Estate Broker - Orlando Area - Love Referrals (The Only B.S. I Have is from the University of Massachusetts). Design © 2019 ActiveRain, Inc. All rights reserved, Inc.